Only for IECG members ! Non-Members please register first and proceed to the Registration Form. IECG Thematic Events offer you the opportunity to explore certain opening variations.The variations may be particularly sharp, rare, new or perhaps old and deserving to be looked at again and new life breathed into them. You can test them and practice together with other interested email chess-players from around the world. Maybe you want to try out a novelty or you want to experiment with a particular variation to extend and enrich your own repertoire.Perhaps you just wish to have fun playing some absorbing games of chess with chessfriends from around the globe, unrated and under tournament conditions. In each event all games start with the same sequence of moves (the theme). Every participant has one game with white and one with black against each of 4 opponents. This means you will be playing 8 games at the same time. Players of any strength or experience may enter, regardless of their rating. This means that you will have the opportunity to compete with opponents from a wide range of rating classes. Groups will be formed 'at random' with players from as many different countries as possible. You may enter one or two of these preliminary groups. Note that if you opt to play in two groups, you will play 16 games. Games are not rated. All groups will start within 14 days of the closing date for the entries. When a group ends, the first two placed in a group of five can participate in the next round. For more details, please read the corresponding section of our Tournament Rules. If you have any questions please contact the IECG Thematic Events Office. An unusual continuation that begins 1. e4 c6 2. d4 d5 3. Nc3 dxe4 4. Nxe4 Nf6!? 5. Nxf6 gxf6, leading to a very unclear position. 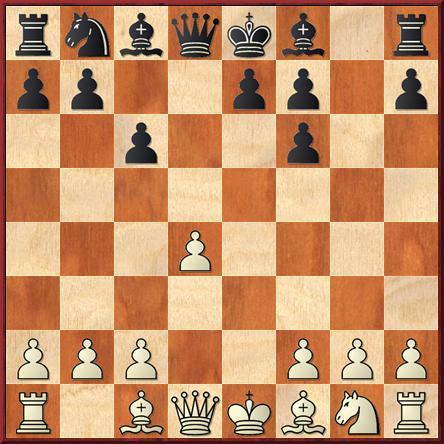 Black has opted for an inferior kingside pawn structure and a practical necessity of castling queenside, but also has some compensation in the form of the open g-file for the rook and unsually active play for the Caro-Kann. It is generally considered somewhat unsound, but leads to interesting and original play.